All Blues: Did you play any sports prior to rugby? 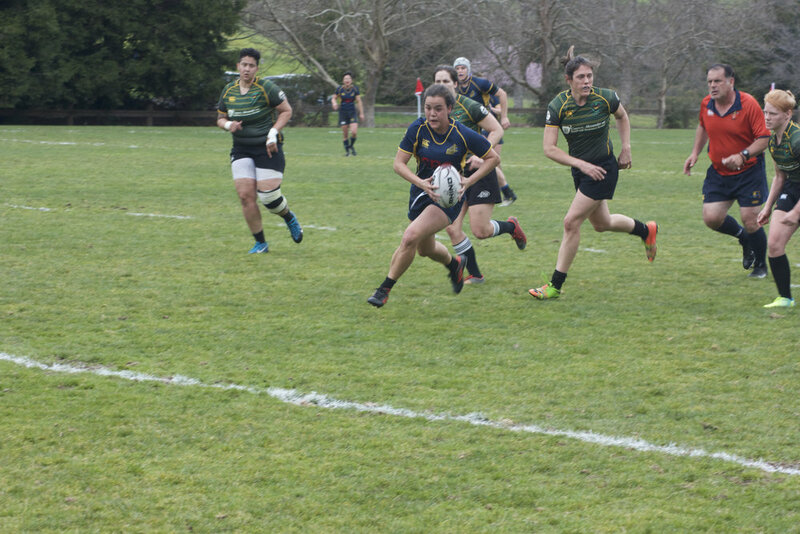 When and how did you first start playing rugby? Serena: I played soccer and ran track in high school. I wanted to join a club team in college and there weren’t many to choose from. My boyfriend at the time played rugby and encouraged me to try it out. I was immediately hooked! AB: Do you have a philosophy/mindset when you practice and play rugby? Thinking about a game you thought went really well for you, how did you get your mind and body ready for that match? S: I think that it is really important to have a growth mindset and always be willing to learn new things but also continue to work on mastering the basics. I’m still trying new things and working on figuring out what works best for me in regards to a pre-match routine for games. 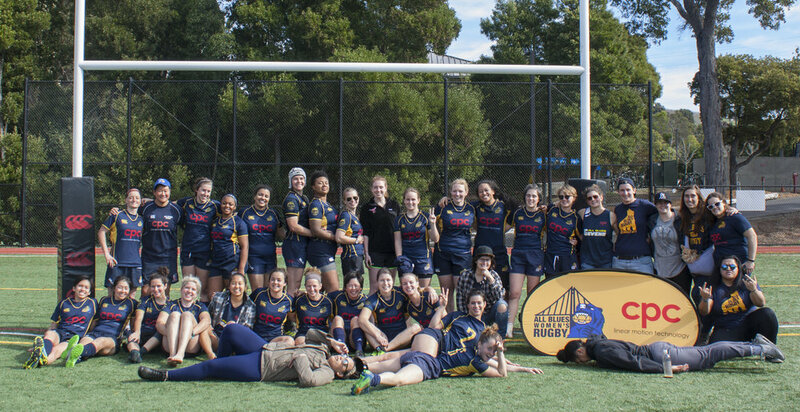 S: After taking a few years off rugby after I graduated from undergrad, I wanted to get back into rugby and have also always wanted to live in the Bay Area… so I moved out here at the end of 2016 and joined the team. One of the best decisions I’ve made! Serena with the D2 team, spring 2017. S: I would have to say that I’m still pretty new to the sport and have a lot left to learn. I think all the coaches I have had have influenced me in different ways. Rugby is definitely a sport that can teach you a lot about yourself and life in general. There is a lot of carryover to the real world. AB: Most memorable time with the All Blues? S: The most memorable times are the ones where you get to know your teammates off the pitch… I’ll just leave it at that. 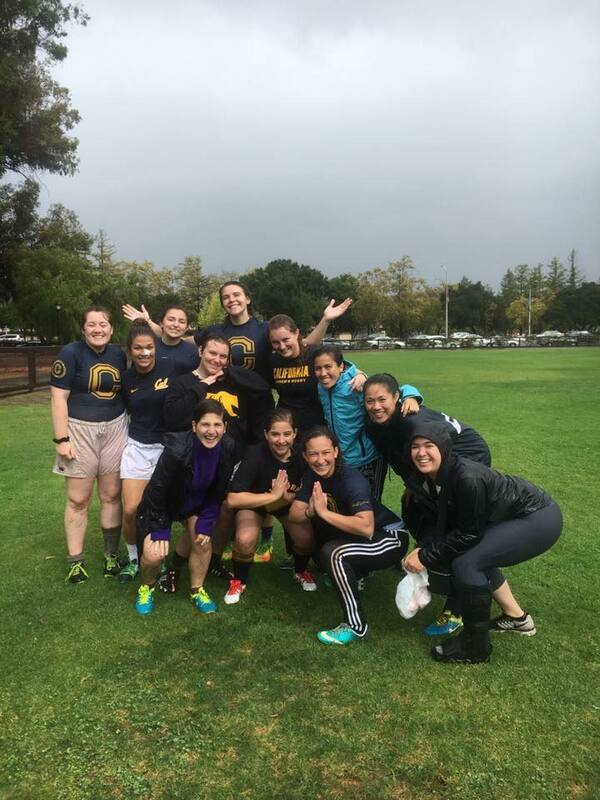 S: Does Sunday Touch count as a non-rugby activity with East Bay Vintage Rugby? Haha, but I do love to be outdoors in nature and I think the Bay Area is a great place for that. I love to surf and snowboard and don’t do it enough because of rugby, but I’m okay with that. Oh, and also eating. I love to eat. All Blues: When and how did you first start playing rugby? Did you play any sports prior to rugby? 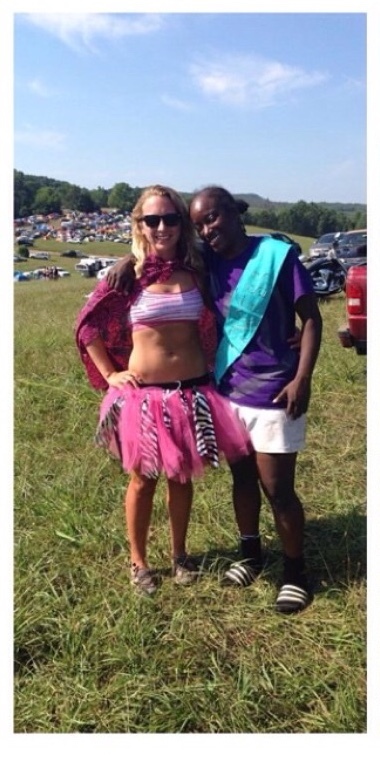 Christina: I grew up playing different sports, always trying to follow my older brothers in their athletic endeavors. As a kid I ran track & field and played basketball, softball, soccer, and waterpolo. Although it wasn’t ‘kosher’ for me to play American football or wrestle for my high school (i.e. it was looked down upon for women to participate/play with the boys), I always teamed up with my Dad at home wrestling against my brothers in our family room. I was disappointed to find out that all UC Santa Barbara had to offer in the water was intertube waterpolo and surfing, but by chance someone handed me a flyer to try rugby. My freshman year I was lucky to be surrounded by an amazing squad of veteran players who took the team to the 2007 National Championship tornament at Penn State. Since then, I’ve been fortunate to travel and meet people from all over the world who share the same rugby passion. C: The All Blues name came to me through the grapevine of UCSB and SoCal alumni that kept with the sport. I knew it was the closest team to my hometown, but I never quite understood the legacy of the club until I moved back to the states last fall. C: This team is ridiculously easy to get along with; making it hard to chose just one ‘most memorable’ moment! This is the sixth team I’ve played for over the past 11 years, and I can honestly say that there is something really special about this team’s dynamic. 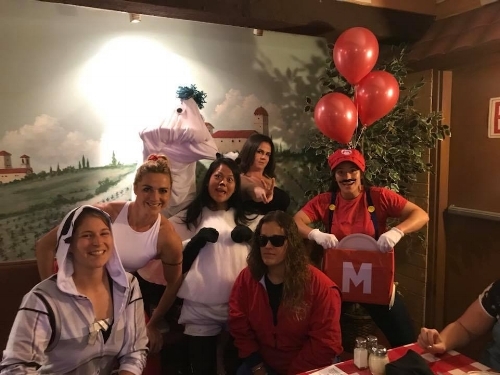 I’m a sucker for themed socials though, so this year’s Halloween weekend was one of the most entertaining of the season. C: Portuguese legend Carlos Nobre once told me that rugby has done more for us as players than we ever will for the sport… these words continue to inspire me to be humble about what I have accomplished, and a reminder that in the grand scheme of things I have so much more to learn from the Sport. AB: It’s super cool to see your parents on the stands during our games, and even during practices! Can you tell us a little bit more about them? How do they feel about you playing rugby? Have they always been supportive of you playing this sport? C: My family has always been very supportive of my and my brothers’ extracurricular endeavors. My parents weren’t much fans of traveling before I went abroad to Europe in 2010, but since then got their fair share of passport stamps; traveling as far as Dublin, Lisboa, Brive, and Moscow to see me boot up. Their support is fundamental to my success; I owe so much to their unconditional love. AB: Do you have any other passions besides rugby? Do you find that these two passions intersect? If yes, how? 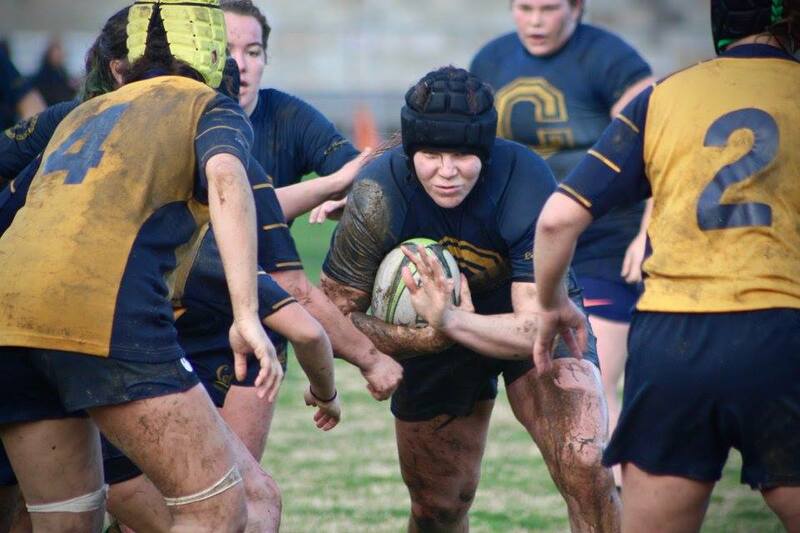 C: I love traveling and meeting new people, which made playing rugby overseas naturally easy for me. I love going to tournaments with international competition and finding common links between the cultures. The rugby community is a lot smaller than you would think. My host at Glendale this fall also played with my former Sport Lisboa e Benfica teammate in New Zealand last year. Talk about degrees of separation…!